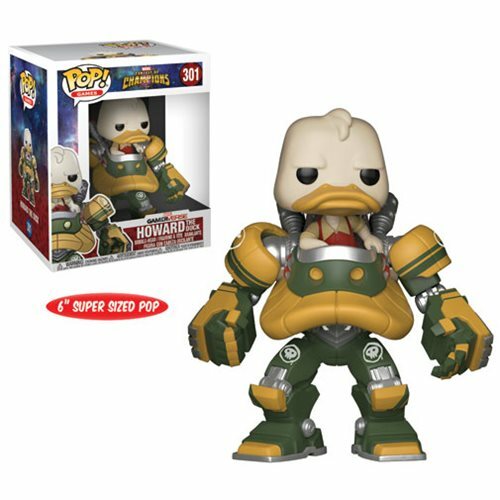 From the mobile fighting game Marvel: Contest of Champions, comes this Howard the Duck in his ISO-Loader armor as a Pop! Vinyl Figure! Howard the Duck stands about 6-inches tall as a super-sized Pop! Vinyl figure and comes packaged in a window box. Show the world you mean business with Quack-Fu in an awesome mech suit!